Home » Diet » Top 5 Vegan Cheesecake Recipes! Top 5 Vegan Cheesecake Recipes! My love of cheesecake was something I regretfully bade farewell to when I began my vegan journey two years ago. However, despite operating under an undeniable oxymoron, it didn’t take me long to discover a wealth of delicious vegan ‘cheesecake’ recipes! Most use either raw cashews or tofu as a replacement for cream cheese. Cashews contain heart-healthy fat and like tofu, is a much healthier alternative to dairy and what’s more, hits the spot just as effectively! In our Top 5 Vegan Cheesecake Recipes find the antidote to your poison in the below alternatives; from traditional or decadent to light and healthy, there’s something for everyone! Minimalist Baker is my go-to guru on all things vegan and quick, not excluding these delicious and extremely easy no-bake cheesecakes. Simply mix together and freeze- no fuss or animal products required. Who says being vegan has to be difficult?! 2. Next add nuts and process into a meal. Then add dates back in and blend until a loose dough forms – it should stick together when you squeeze a bit between your fingers. If it’s too dry, add a few more dates through the spout while processing. If too wet, add more almond or walnut meal. Optional: add a pinch of salt to taste. 3. Lightly grease a standard, 12 slot muffin tin. To make removing the cheesecakes easier, cut strips of parchment paper and lay them in the slots. This creates little tabs that makes removing them easier to pop out once frozen. 4. Next scoop in heaping 1 tbsp amounts of crust and press with fingers. To pack it down, use a small glass or the back of a spoon to compact it and really press it down. If it sticks, separate the crust and the glass with a small piece of parchment. Set in freezer to firm up. 5. Add all filling ingredients to a blender and mix until very smooth. For the coconut milk, scooping the “cream” off the top provides a richer texture. But if yours is already all mixed together, just add it in as is. 6. You don’t need a Vitamix for this recipe, just a quality blender. Mix for 1 minute, then “liquify” or “puree” it until silky smooth. If it won’t come together, add a touch more lemon juice or agave or a splash more coconut milk. 7. Taste and adjust seasonings as needed. If adding peanut butter, add to the blender and mix until thoroughly combined. 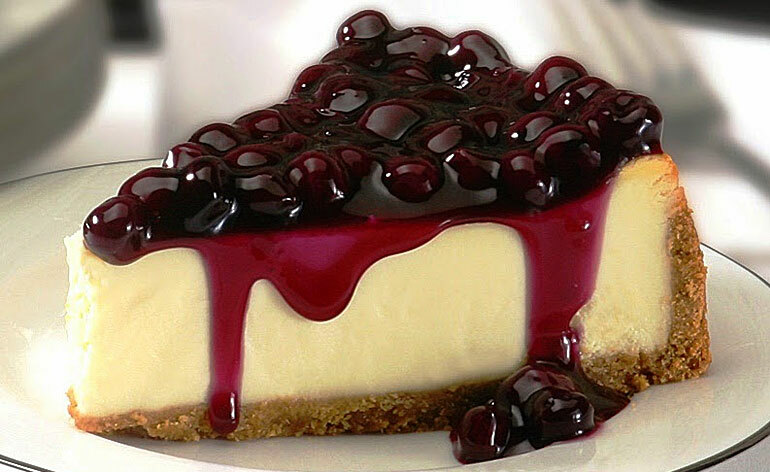 If flavouring with blueberry or caramel, wait and swirl on top of plain cheesecakes (optional). 8. Divide filling evenly among the muffin tins. Tap a few times to release any air bubbles, then cover with plastic wrap and freeze until hard – about 4-6 hours. 9. Once set, remove by tugging on the tabs or loosening them with a butter knife. They should pop right out. Keep in the freezer for up to 1-2 weeks. **To quick soak cashews, pour boiling hot water over them, soak for 1 hour uncovered, then drain and use as instructed. This is a slightly more traditional and child friendly recipe using vegan cream cheese and a digestive base, and the welcome addition of chocolate is sure to convince even the biggest dairy fanatics! For the more health conscious: swap chocolate for raw cacao combined with melted coconut oil and a sweetener of choice and experiment with a sweetened nutty base if desired. 1. Grease a loose based cake tin. One that is about 6 1/2 or 7 inches will work best. 2. Crush the digestive biscuits. 3. Melt the margarine in a pan, and pour over the digestive biscuit crumbs. Mix thoroughly, and pour into the cake tin. Press down evenly with a spoon until the base is very firmly compacted. 4. Melt the chocolate in a bowl over a pan of gently simmering water. 5. Put tofu, cream cheese, vegetable oil, sugar and vanilla essence in a blender and blend until smooth. If you don’t have a blender, you’ll need to get it as smooth as you can with a whisk or a fork, so silken tofu would work best. 6. Stir in the melted chocolate. 7. Pour the topping over the biscuit base and chill in the fridge for a couple of hours. 8. To get it out of the tin, put it on top of a cereal bowl and push down on the outside of the tin, leaving the cheesecake sitting on the bowl. Ingenious! Then you can slide it off the bottom of the tin and onto a plate. 9. You could decorate it with whipped vegan cream or coconut cream, chocolate curls or sliced strawberries. No top five cheesecake list would be complete without the classic New York baked cheesecake. While New Yorkers added extra egg whites to their version, this vegan spin uses non-dairy yoghurt and milk to give it a wholesome yet silky texture along with ‘Tofutti’ cream cheese. This recipe makes one 9 inch Classic Vegan Cheesecake. 1. Break the biscuits into small pieces and place them in a food processor or blender with the cinnamon. Pulse them until they are fine crumbs. Add the crumbs to a medium size mixing bowl. 2. In a small saucepan, whisk together the Vegan Butter and brown rice syrup on low heat until well combined. 3. Add the Vegan Butter mixture to the bowl containing the biscuit crumbs and thoroughly hand mix with a fork until they are evenly saturated. 4. If possible, turn an empty medium mixing bowl upside-down and place the spring form on top of it. Being able to compress the crumbs more will make a better crust. Compress the crumbs into the bottom of a 9 inch spring form pan using the flat bottom of a drinking glass. 5. Preheat oven to 325F (163C). In a medium mixing bowl, mix together the sugar, non-dairy yogurt, all-purpose flour, non-dairy milk, lemon juice, vanilla extract and salt. Set aside. 6. In another medium mixing bowl, beat the imitation cream cheese until it’s slightly fluffy. Mix in the sugar and non-dairy yogurt mixture from step 1. Beat the batter until it’s smooth. 7. Pour the mixture into the 9 inch spring form pan. Jostle the spring form back and forth and side to side to get excess air bubbles to escape. 8. Bake for 1 hour, 30 minutes. It is important not to open the oven or else the cheesecake will cave in. Let the cheesecake cool overnight. 9. When the cheesecake has cooled, use a small knife to go around the edges carefully to free the remaining cheesecake from the pan. Open up the pan as far as you can and shake it slightly to get it to let go. Lift the spring form siding away. Place in the refrigerator. Top it with your favourite high-quality preserves, and enjoy! Also from self-confessed cheesecake fanatic, Minimalist Baker: this seasonal must-have recipe combines warm, aromatic flavours baked and whipped into rich, creamy perfection. The ideal treat for a blustery autumn-winter afternoon! 1. Preheat oven to 350F and add biscuits to food processor and mix until a fine meal is achieved (alternatively, smash with a rolling pin in a large freezer bag). Add melted butter and pulse to combine. 2. Transfer to a standard pie pan (mine is 9.5 inches, but 9 inches or slightly smaller will work) and press with fingers to form the crust evenly on the bottom and up the sides of the pan. If any surface area of the pan isn’t covered with crust, spritz it with non-stick spray so the cheesecake won’t stick. 3. Bake for 10-12 minutes or until slightly browned, then set aside to cool. Keep oven at 180C. 4. In the meantime, prepare cheesecake filling by adding all ingredients to a blender and blending until creamy and smooth, scraping down sides as needed. Taste and adjust seasonings/sweetness as needed. Transfer to a mixing bowl and set aside. 5. Add in pumpkin swirl ingredients and blend, scraping down sides as needed. Taste and adjust seasonings/flavours as needed. 6. Pour cheesecake filling into pre-baked crust, then dollop with pumpkin filling and use a knife or toothpick to swirl (I used a chopstick). Set on a baking sheet. 7. Bake at 350F for 1 hour – 1 hour 10 minutes. The edges should be golden brown and the centre should be slightly jiggly. 8. Let cool completely, then loosely cover with a paper towel (to catch moisture) and then very loosely with foil and chill for at least 6 hours or overnight before serving. 9. To serve, gently slice and top with coconut whip, crumbled ginger biscuits, and/or extra pumpkin pie spice or cinnamon. 10. Will keep stored in the fridge for up to a few days, though best when fresh. This serious banana infusion from Nadia’s Kitchen, celebrates the versatility of the creamy, sweet and nutritious fruit; the saviour of many a vegan dessert! Forget cream cheese and enjoy a whole new banana dimension with this inventive recipe! 1. Depending on how soft your dates are, you may need to soak them in hot water for 10 minutes to make them easier to blend. 2. Add the dates, dried bananas and cashews to a blender/food processor and blend for a few minutes until a sticky, crumbly mixture is formed. 3. 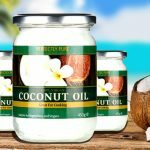 Melt the coconut oil then add it to the date and cashew mixture along with the rest of the base ingredients. Give everything another quick whizz. 4. Transfer the mixture into an 8″ cake tin lined with parchment paper and press down using a spatula or your fingers. 5. Place in the fridge for 30 minutes to set. 1. You need to soak your cashews for at least 8 hours in water for a creamier texture. 2. Drain and rinse the cashews then add them to your blender/food processor along with the rest of the cheesecake filling ingredients. 3. Blend on high speed for a few minutes or until the mixture is completely smooth. 4. Take the base out of the freezer and pour the cheesecake mixture on top. 5. Return to the freezer and leave it to chill for a few hours or until completely set. 6. Take your cheesecake out 20 minutes before you want to serve. 7. Decorate with melted chocolate, bananas, dried bananas, chopped nuts, or whatever else you fancy. Experimenting with vegan or dairy-free cheesecakes opens up a whole and surprising new universe especially for us sweet-toothed individuals. Hopefully our top picks have inspired your creative culinary juices to experiment with different variations, ingredients and flavours. The no-bake ones especially are quick and easy to assemble and the combination of healthy fats, protein and fruit leave you full, happy and most importantly guilt-free!